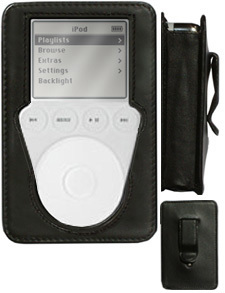 I ordered a DLO Podfolio from everythingipod.com before they started even shipping based on the size, style, and low profile clip. It seemed to be everything I wanted in an ipod case. I thought at first, they had just mixed up my order, and sent me a different model, since the style matches their popular "sportsuit", only made of leather. 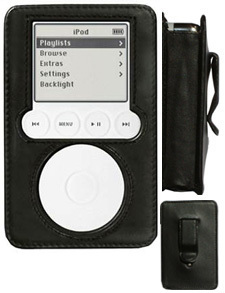 Upon checking everythingipod today, I found they had switched the image! My guess is that DLO had changed the design prior to shipping. I was never notified of the change, and I still can't decide whether to keep it or not. I'd really like one just like the first picture.